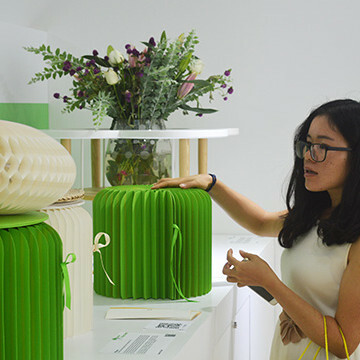 Under the theme “Design – Connecting all possibilities”, Green product award joined the invitation of the main organizer Shenzhen Industrial Design Profession Association (SIDA) this year as well. 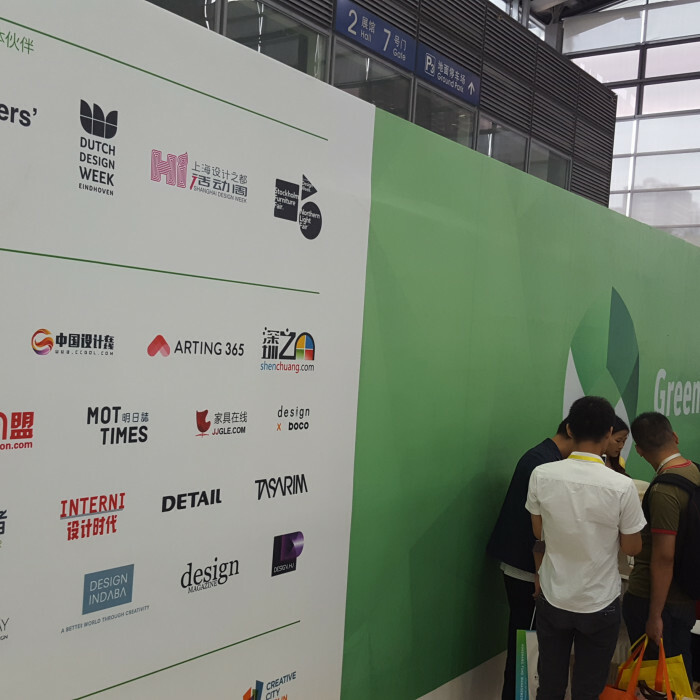 On the 4th SZIDF 2016, which took place from 6th-8th November 2016, there were exhibitions of green products with a focus on Asian submissions. A second stand of 60 square meters was used especially for Innovation-Workshops to develop green product and service concepts and also for matchmaking-meetings. 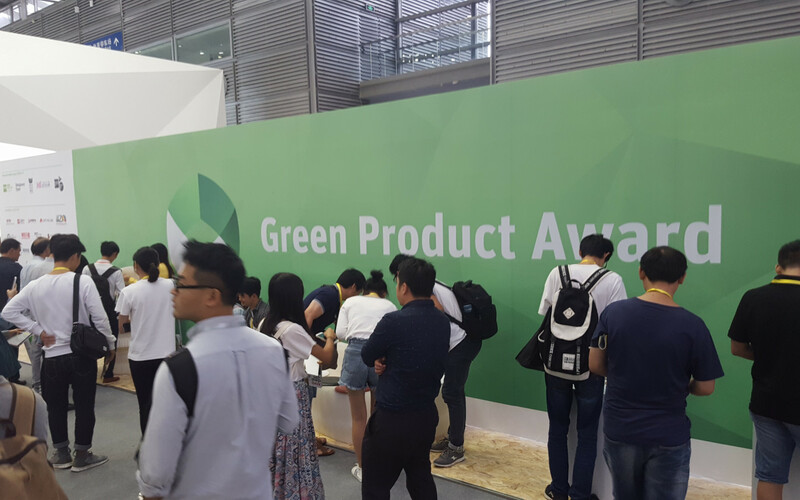 On three days, Green Product Award exhibited about 40 new international sustainable designs from Germany, Litauen, Mexiko, Sweden, China, Switzerland, Portugal, Austria，Belgium and various other countries. Products such as Earth living handmade tiles, the unique furniture Coffee Table Ella, a Recycle Series made of recycled construction material, nobox - the washable paper box for bread packaging, the compostable cellulose net packaging VPZ, the 3D printed sunglasses 001 Samsen, Huanchuang bulk waste shredding line, recycled clothing lines from IAN Design and textile products from DA.AI, ECO FR – a flame-retarding and bio degradable fabric, H·S MAKE natural cosmetic, IhPaper – paper furniture and many more products. 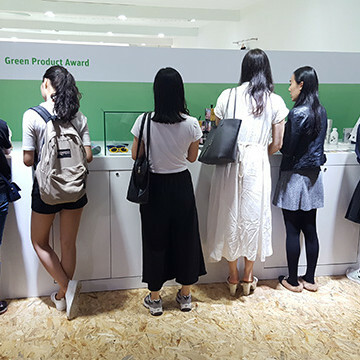 In addition, Green Product Award also exhibited many outstanding student works such as the DIY playwood table, the renewable kitchen cleaning set Qingying, the Rain Collector, Leaves - a decomposable planting pot and a sustainable paper packaging product So Star. We were also glad to meet many international designers and new cooperation partners in the three day long design fair!